Home » News » Op-ed by Tena Prelec: UAE in the Balkans: Meeting point between ‘sultanism’ and authoritarianism? Op-ed by Tena Prelec: UAE in the Balkans: Meeting point between ‘sultanism’ and authoritarianism? 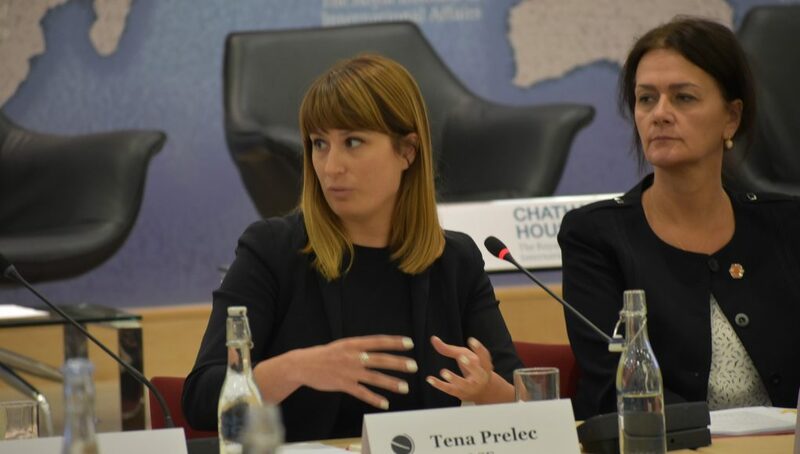 Op-ed by Tena Prelec, Research Associate at the London School of Economics’ European Policy Institute, and a speaker at the event the event “Beyond Berlin: What Does the Next Decade Hold for the Western Balkans?”, organized by Chatham House, European Fund for the Balkans and DG Near in London on 10 July. Given the limited geopolitical significance of the country’s involvement, there is little justification for concerns about the UAE ‘taking up the space’ of the EU. But the lack of transparency in recent investments should nevertheless be a key concern for policy-makers as it has the potential to undermine the conditionality of the rule-based approach explicit in the EU accession process. The presence of so-called ‘foreign actors’ in the Western Balkans – meaning the involvement of states other than European Union members – is a topic that has been attracting growing interest of late. Media are keenly covering the Russian, Chinese and Turkish presence in the region, and no policy consultation goes by without this issue being prominently tackled. This interest raises two sets of questions. One is substantial: what are these countries really up to? Is their interest commercial or geopolitical? Are there any security implications? And the second one is reflexive: why are we so spasmodically interested in this matter? A study I have carried out with colleagues at the LSE and Zayed University has attempted to answer the substantial questions in terms of the United Arab Emirates’ (UAE) increasing investments in the Balkans. Financial involvement of the UAE in South East Europe is not a new phenomenon, but while previous disbursements to Kosovo and Bosnia in the 1990s and early 2000s were mainly intended as post-war foreign aid, the interest that has developed over the last decade – especially in Montenegro, in Serbia and more recently in Bosnia – is indisputably related to business investments. The first UAE embassy in the Balkans was opened in 2012 in Montenegro, two years into the construction of the Atlas Capital Centre in Podgorica by the Abu Dhabi Financial Group. Underlining the close relation between the business investments and political ties, the diplomatic outpost is located within the luxury shopping mall itself. The main sectors of investment in Montenegro are tourism and agriculture. UAE officials stressed that they hoped for Montenegro to be their “gateway to the Balkans”: a region they are interested in setting their foot on via niche industries before it joins the much larger EU market. The geopolitical implications are not hidden (it’s good to make “friends around the globe”), but what they highlight, most of all, is a specific investment logic: the UAE’s end-game is markedly long-term, preparing the country for a post-oil economy a few decades down the line. The involvement in Serbia came slightly later, but it ended up being even more sizeable. In 2013, Deputy Prime Minister Aleksandar Vučić (later to become Prime Minister and then President) announced several high-profile business deals and a $1bn state loan, which were followed by investments in four main industries: agriculture, construction, air transport, and armaments production. The overhaul of Serbia-UAE relations has indeed been quite stunning: from being vocal critics of Serbia’s actions during the wars of the 1990s, Emirati leaders are today viewed as having excellent relations with their Serbian counterparts. A largely ideological, value-based approach has been left behind, making space for more pragmatic relations. In neither country have UAE investments passed without controversy. What characterises these deals is a marked lack of transparency, frequently accompanied by a lex specialis granting great concessions to the investor, and a decision-making process that occurs almost exclusively from the top echelons of both sides. The potential avenues for corruption, as well as the allegation that both Milo Đukanovic and Aleksandar Vučić are linked to Abu Dhabi’s ruling family through Palestinian politician Mohammad Dahlan (who holds both a Montenegrin and Serbian passport), have been dismissed as nonsense by all sides. However, episodes such as the 2016 overnight demolition of houses by never identified masked individuals, in the same area where the partially UAE-funded development ‘Belgrade Waterfront’ is to rise, have done little to help establish those enterprises as serious investments underpinned by a dedication to the rule of law. This scarce commitment to transparent and accountable investing is worrying. In a forthcoming book chapter, Will Bartlett and I argue that the political cultures of the leaders in the Balkans and in the UAE are in many ways compatible. This is good news for the continued economic engagement of the two sides, but potentially bad news for the democratic development of the Western Balkans countries. The UAE’s “sultanism” – a personalised power blurring the line between the public and the private, in which state resources are viewed as personal property of the ruler and his associates – has encountered fertile ground in a region largely characterised by a backsliding towards (or a stagnation of) authoritarianism. Which brings us back to the second, reflexive, set of questions: why are western debates so focused on what ‘others’ are doing in the Balkans? Should they be? As shown, at least in the case of the UAE, the geopolitical motives are either feeble or non-existent. The threat of another actor ‘taking up the space’ of the EU / the West is not justified in this instance. However, the alarm bells point at a modus operandi which is clearly top-down, largely non-transparent, and therefore capable of entrenching existing political and business elites through clientelistic routes. In this sense, non-transparent investments should indeed be a key concern for policy-makers, as they have the potential to undermine the conditionality of the rule-based approach explicit in the EU accession process.